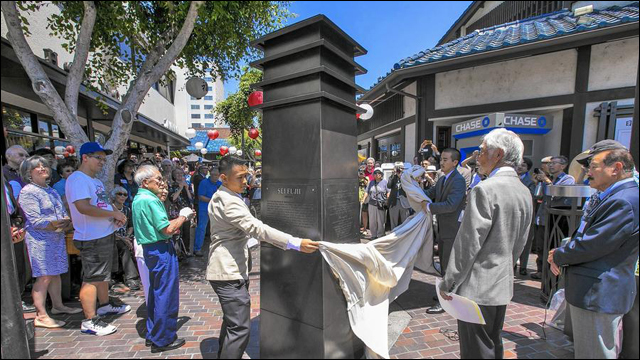 Little Tokyo monument honors Japanese immigrant activist Sei Fujii : On Saturday in Los Angeles, community members unveiled a new Little Tokyo monument in honor of civil rights activist Sei Fujii. Thai Workers Finally Living 'The American Dream’ 20 Years After Sweatshop Raid: Twenty years ago, 72 Thai laborers were freed from slavery when authorities raided an El Monte garment sweatshop, in one of the most infamous human trafficking cases in modern history. But getting freed from captivity was only the beginning of their journey to becoming American heroes. Jennifer Pan's Revenge: the inside story of a golden child, the killers she hired, and the parents she wanted dead The complicated, morbid, and just plain sad story of a Canadian immigrant family, whose daughter arranged to have her parents killed. Tragedy of 'golden' daughter's fall resonates with Asian immigrant children "It's so easy to blame immigrant parents... The danger of highlighting cases like Jennifer's is that they contribute to a misconception that all Asian American kids experience this extreme pressure and are mentally unstable... Jennifer's parents certainly had a role in making her feel trapped, but I think there's a broader discussion to be had about the expectations that teachers, peers and institutions place on people like Jennifer to fit that stereotype of the exceptional Asian American student." Q&A With Prof. Jennifer Lee: Asian American Success Isn't What You Think It Is: An interview with UC Irvine professor Jennifer Lee, co-author of The Asian American Achievement Paradox, a new book debunking the "model minority" myth. 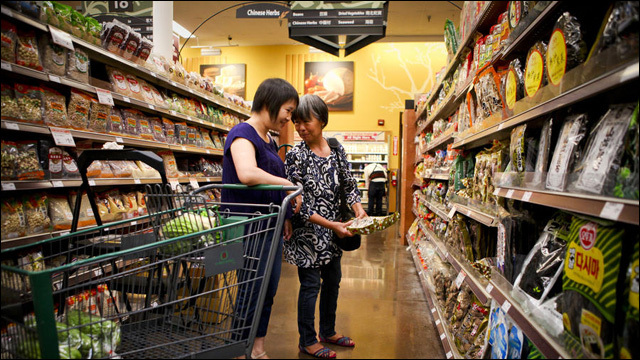 In Alhambra, demographic shift reaches the grocery store : In Alhambra, California, a community's fear and anxiety over demographic change are laid bare when a Ralphs supermarket is replaced by a 99 Ranch. If White People Food Were Described Like "Exotic" Food: This is brilliant. A Change in Taste for Chinese Communities: An interview with Yong Chen, author of Chop Suey USA: The Story of Chinese Food in America, who talks about the new Chinese American communities and where one can find the best, most authentic Chinese food in the U.S.
Meet the Immigrant Women Who Share Their Cooking Secrets in a Unique Home-Based School: Ever wanted to learn to cook authentic Korean, Afghan, Lebanese, Greek, Trinidadian, Bangladeshi, Indian or Argentine food? League of Kitchens will help you do just that in the homes of immigrants where food is a conduit for cultural learning and exchange. How Good Girl Dinette's Diep Tran finally made peace with pie: Diep Tran makes many glorious things at Highland Park's Good Girl Dinette, but one of the best things that comes out of her kitchen are her pies. 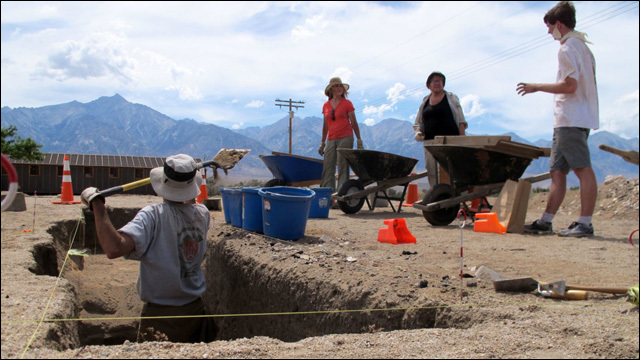 Uncovering the Buried History of a Japanese-American Internment Camp: Volunteer excavators have been digging and sifting through various areas at the Manzanar National Historic Site, hoping to find clues to what life was like for Japanese Americans incarcerated there during World War II. Baby-Faced Brawler: Ben Nguyen Scores UFC Contract After Viral Knockout: MMA fighter Ben Nguyen was signed by the UFC after a video of him fighting and knocking out a tattooed man in 20 seconds went viral. 7 Books About Growing Up Asian-American I Wish I'd Had As a Kid: For young Asian American readers looking for stories to relate to, here's one writer's "completely personal, completely not comprehensive list" of seven middle grade and young adult books featuring contemporary Asian American characters. Keith Ape Is Ready to Be the World’s Next Trap Star: 21-year-old Korean rapper Keith Ape is coming to America on the strength of his anthem "IT G MA." But how far can he take his career? Let The Newbie Have This: Gene Yang On Exposing Superman’s Identity With John Romita Jr. [Interview]: Gene Luen Yang talks about his new gig writing on DC Comics' Superman, and the challenge of taking on some really massive changes in the Man of Steel's storyline.